On Tuesday 8th September 2015, the birthday of our Lady, Archbishop Eamon launched our new five year Diocesan Pastoral Plan (2015-2020) in St Patrick’s Cathedral, Armagh. It is the fruit of eighteen months of consultation and feedback from all around the diocese, including lay people, priests and religious. 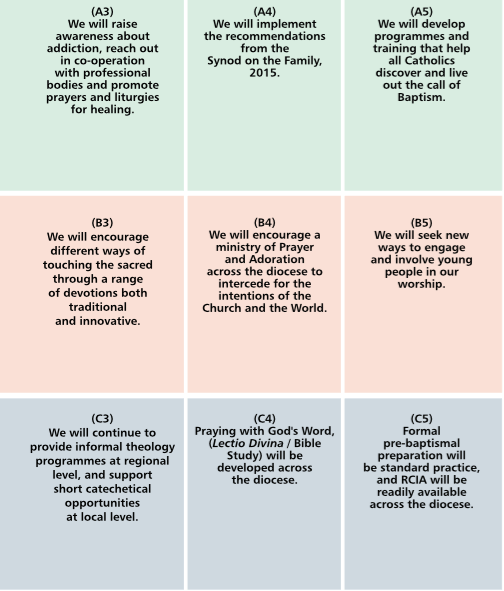 The Diocesan Pastoral Plan(2015-2020) is a major diocesan initiative which will unfold over the next five years. 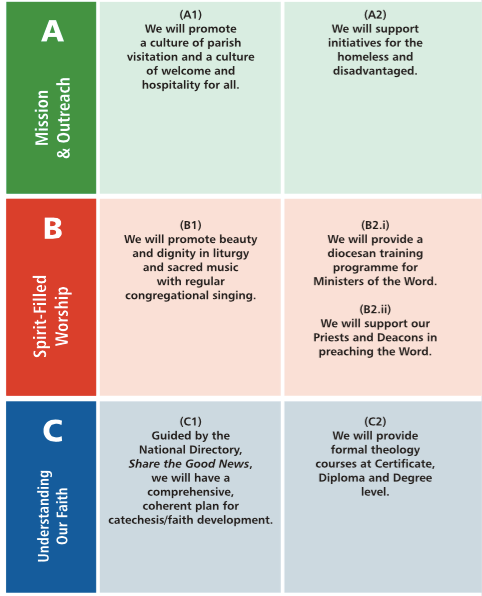 In each of these areas, the Plan will offer five objectives to guide us in our pastoral ministry over the next five years.